Last October, Long Beach native Khanh Hoang held a pop-up dinner at Scoops, the artisanal ice cream shop in SanTana. Using a combination of insight from her travels, recipes gleaned from cookbooks and YouTube, plus her own experiences with ingredients and chefs from the region, the self-taught chef crafted a tribute to South America that included her own take on the notoriously versatile Brazilian feijoada. After trying Hoang’s version of the hearty meat stew, a Brazilian woman approached her for a hug. The meal had reminded the woman of home. Hoang, a nurse by day, runs Company of Khanh, which organizes bi-monthly immersive pop-up dinners inspired by cuisines around the world. Her events are held everywhere from backyards to public parks and feature décor and music that thoughtfully aligns with what’s on the plate. Her menus cover a wide swath of flavors and cultures, from Greek to Vietnamese to Southern food, all made with quality ingredients and reflective of her own vast home-cooking range. Each season brings a different element to her dinners. 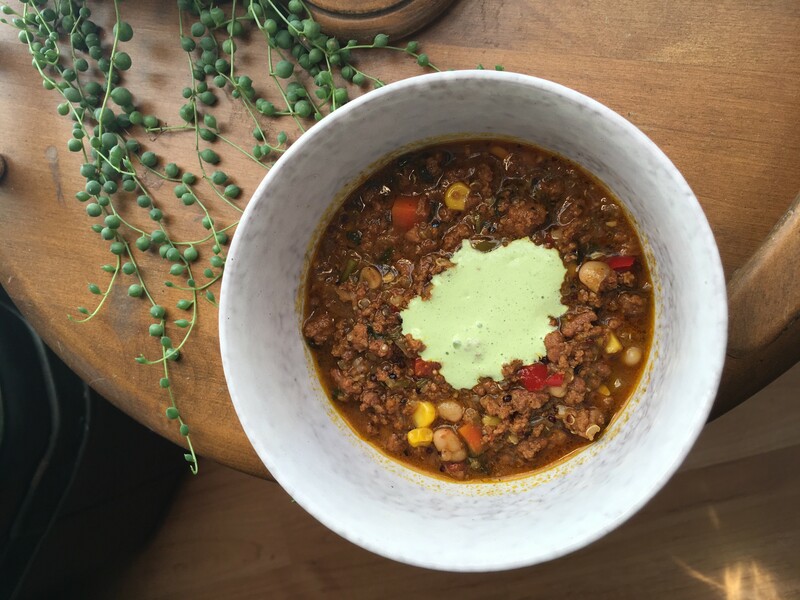 In winter, she does a spin on summery ice cream socials with a Stew Social that allows her to make soups like Peruvian parihuela, Moroccan lentil, Vietnamese bó kho and vegan Thai kao soi. 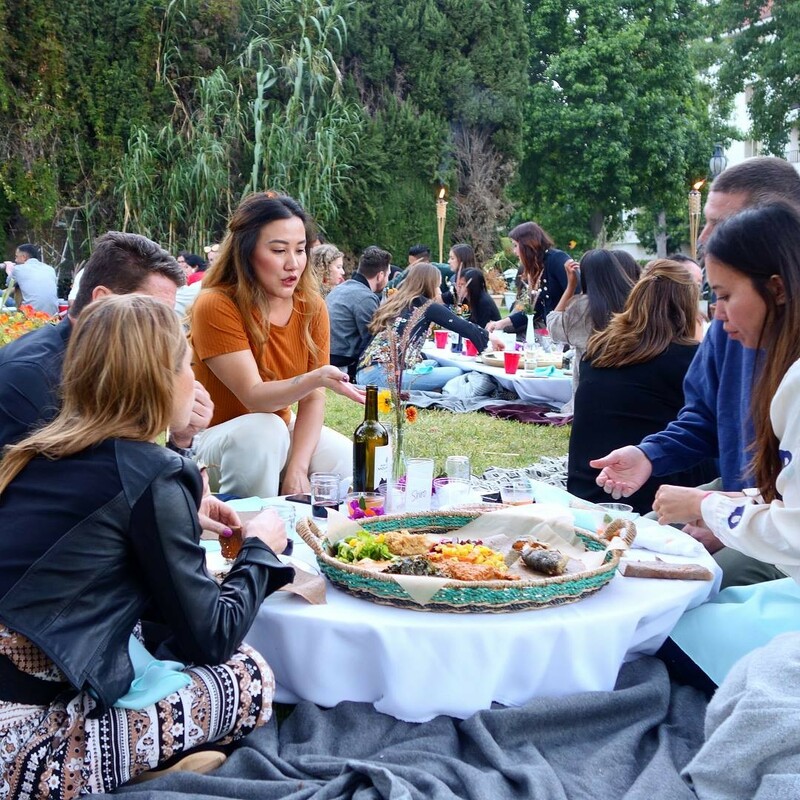 Her last event was a sold-out Ethiopian picnic at Bluff Park and on July 29, she’s hosting a Midsummer Dinner Party with fellow Long Beach chef, Aliye Aydin of A Good Carrot. Hoang also has an upcoming appearance at the Long Beach Zine Fest and is hosting a cultural Pizza Party on August 19. Company of Khanh started two summers ago after Hoang returned from a trip to Turkey and felt inspired to share the food she ate there. As a medical professional, she knows how important what we put into our body is to our overall well being and has spent her entire life fascinated by the various ways people cook and eat. As a child, she remembers getting pawned off to other Vietnamese families whenever they were having parties, and she spent hours learning how to cook and rolling perfect egg rolls for hundreds of guests. In college, she worked in a Japanese restaurant, a Greek restaurant, and a fine-dining Italian restaurant, picking the brains of chefs for her home experiments at each. 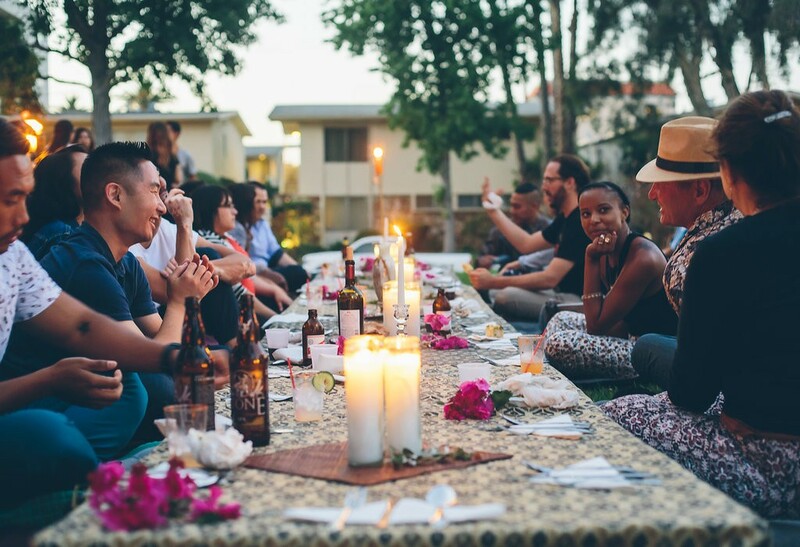 Though she’s keeping Company of Khanh busy with local pop-up dinners and events for now, Hoang hopes to eventually have her own restaurant in Long Beach one day, where she can preach the gospel of diversity and bring all kinds of people together with her eclectic interests in food.